CHULA VISTA – In 27 years as coach of the Helix Highlanders, JIM ARNAIZ brought his team to a San Diego CIF championship six times, winning four titles. The first of which for the school and the legendary coach came 40 years ago when the Scotties beat San Pasqual, 17-10, for the 1978 San Diego CIF 2A championship behind running back CASEY TIAMALU. Since then, Helix has returned to a county championship game 13 more times but have come out victorious in just five of those title bouts. One of those wins, however, came just three years ago when the Highlanders beat the Saints, 44-30, in a matchup of the top two seeds in the Open Division championships in front of a capacity crown at DeVore Stadium. The stakes this Saturday night are just a notch below of what they were on that night when the Scotties’ NATHAN STINSON had five touchdowns and over 300 yards of total offense to out-perform St. Augustine’s ELIJAH PRESTON. The Highlanders and Saints will play for the Division I section championship back at Southwestern College at 7, but both teams are playing well enough to think they could’ve competed with the elite play of open finalists Cathedral Catholic and Torrey Pines, which met here last week with the Dons rallying for the section crown. The Saints certainly can use the boost of confidence off of their recent performances since the Highlanders turned back the clock to that ’78 season, then the Scots went out and looked like champions in the second half after trailing St. Augustine, 14-7, at halftime in a regular season meeting between the clubs on Sept. 14. Helix head coach ROBBIE OWENS broke a clipboard in a fiery halftime talk to his then 1-3 team. Then, the Highlanders wore down the then-unbeaten Saints in the second half and won, 35-14, at Arnaiz Field at Benton Hart Stadium. On that night, offensive linemen ALEX NAGY, ISAIAH JATTA, ISAAC GONZALEZ, NATHAN ADAMS, and CHRISTOPHER ALVARADO were in peak form together. The defense also recorded four interceptions, including one from junior star FATTO NOA. Noa has made a big noise of late with some of his rushing performances. Talk about Casey Tiamalu. There certainly is a little bit of Casey in the running style of Noa. Or maybe now, if not, soon, there’s a little bit of Noa in Tiamalu’s similar rushing game. While as great as Tiamalu was, going on to star at BYU, Noa has a tad more than Casey, especially in the speed department. But don’t expect Elelyon to kick a field goal as Tiamalu did in the title game at San Diego Stadium. Although the Highlanders have steady placekicker ELIJAH LAING, don’t put it past Noa, either. The two teams are section stalwarts at the finals nowadays. The Saints’ Sam Scaife has to be regarded as one of the section’s elite receivers. Running back Byron Cardwell got the Saints off to their strong start in the first meeting. 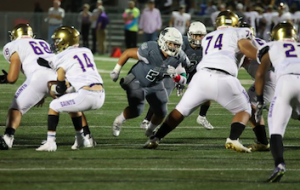 If St. Augustine can shake off the memory of the Highlanders’ dominance, the Saints can note that they own a win over Steele Canyon in their current four-game winning streak, which opened up the playoffs just a week after the Cougars upset Helix in La Mesa. The Highlanders also recently own a playoff win over Saints, 35-7, just last year in the Open Division playoffs. 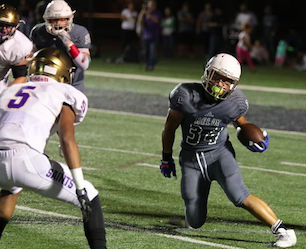 Because of the loss to Steele Canyon, nothing less than winning this game is acceptable for… HELIX, 28-23.
helix did not play in the 1994 or 1995 title games. 1994 division 1 morse defeated patrick Henry. I was the Video Coordinator at Helix in 1994 & 1995 and I concur with the Ex-Helix Coach . 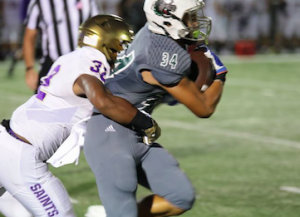 . . Helix did NOT play in the CIF Championship in 1994 & 1995 . . . Those two losses were Semifinal games.